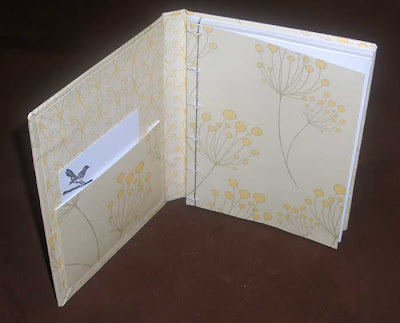 The next swap book to be featured is from Ali, of Jellygnite. This is a pretty hardcover case that has a stab-bound book on the inside. 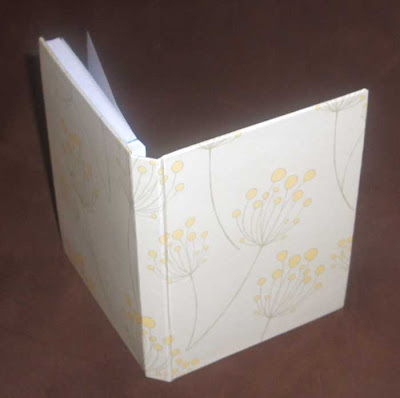 The stab-bound book has matching paper for the cover and is sewn using light blue silk thread. There is also a little pocket inside the cover. Visit Jellygnite.Etsy.com to see some of Ali's other work. This book is gorgeous in person and the structure is fabulous!